Drawing this one hurts more than losing to Wolves did because I was so sure, so certain, so confident, that we would beat Reading, who are awful. It’s a shame that Leeds United’s players don’t have that sureness, that certainty, or that confidence. It’s more than a shame; it’s the problem. It’s the difference between one point from Reading and three. It’s the mysterious lack that is costing us everything, and it’s the hardest thing to bring back. Paul Heckingbottom can tell the players to mark zonally, or mark man-to-man, and he can tell them who to pass to and where to stand. But confidence has been spoken about since as far back as Thomas Christiansen’s first losing streak, and it’s been gone so long, the players have forgotten what confidence looks like. I don’t think they even recognised it in the old gold shirts it wore as it smashed and crashed through them in midweek. After the Reading match, Heckingbottom had to make upbeat sounds about the improvements in the players, talk about the good things they did, the instructions they carried out, because if he didn’t, he might have been taking home a coachload of weeping, winsome fawns. Ezgjan Alioski, at the best of times, wears the expression of someone too young to be watching Watership Down without a cushion to cover his eyes, and I dread to think how he might react were his positive endeavour not recognised. Because it would be like Bambi watching his mum get shot. There was good in Leeds, and Alioski had a good game, more dangerous than usual in the final third. Effort and endeavour has never been his problem; I retain high hopes for Alioski next season, because he’s been a worker this. And I feel like writing those thoughts inside a greetings card with a picture of a nice kitten on the front, and sending it to him, in the hope it’ll make him believe in it. Not just Alioski, but throughout the team, Leeds played as if they were terrified of what might happen if they had to kick the football. The team had six changes from the starting lineup against Wolves, but played as if at the end of Wednesday night they’d blinked and it was Saturday, and the same terrible things were being done to them by the same brilliant footballers. They weren’t. This was Reading, and they were worse than Leeds. Jaap Stam made a name for himself as Reading manager last season by training them to stand still while they kicked the ball to each other. This season he’s built on that by training them to stand still while the other team kicks the ball to each other. The downside of training his team with this new information is that all they can remember of last season is the standing still part, and they are no longer capable of kicking the ball to each other. Instead, they kept kicking it to the Leeds players. But the Leeds players, horrified, kept kicking it back. There’s your match report. Reading could have scored three before half-time; Gaetano Berardi, despite plenty of help from Alioski, was having a hard time controlling Mo Barrow, although when he saw Barrow’s final ball, he might have wondered if he needed to bother. Instead Leeds got exactly what they needed. Collecting a wayward corner, Samu Saiz put Adam Forshaw into Reading’s penalty area with the ball, and his flick to Pontus Jansson was flicked into the goal by Pontus Jansson for an equaliser. That, and a quick watch at half-time of the video for the Reading FC anthem their Carabao-drunk owner produced when we visited a couple of years ago, seemed to do the trick for Leeds (although I need to stop joking about that video, as The Radz Rap is almost too possible). 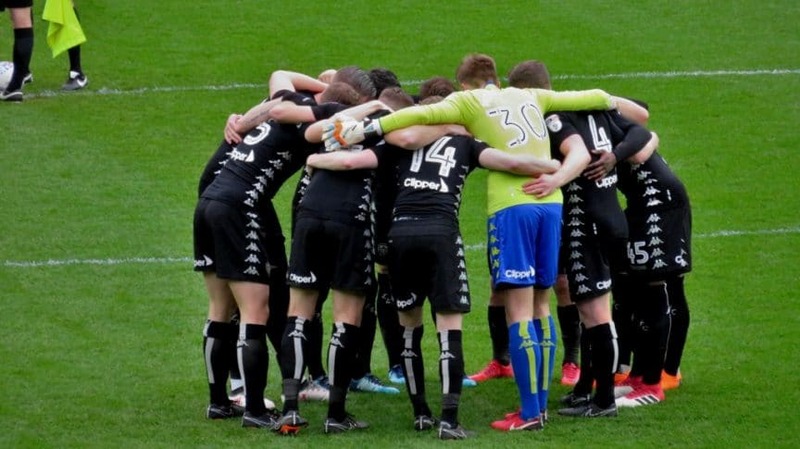 For the first fifteen minutes of the second half the players were blessed with the belief that yes, they can play football, and yes, they can play it much better than Reading; it was almost possible to relax and imagine Leeds United winning a game. Pablo Hernandez made the imaginary real. Saiz helped again; Reading gave him the ball on the right, and he wandered with it to the middle, then passed to the left. The pass was behind Hernandez, who had to stop and reach with his leg to get it, but he didn’t mind; he looked at the players around him, from both teams, and belted the ball into the back of the net, by far the most sensible option. The relief and the belief were abundant. Leeds United were going to win! Yeah, no. Two minutes later Sone Aluko ran with the ball across the midfield, passed to Leandro Bacuna wide on the right, and his low cross was put past Peacock-Farrell by Eunan O’Kane. And Leeds were Leeds again, for the remaining half hour; terrified of playing, horrified by the thought of losing, frozen without ideas on how to go about winning, condemned to keep trying until the final whistle ended the torture. 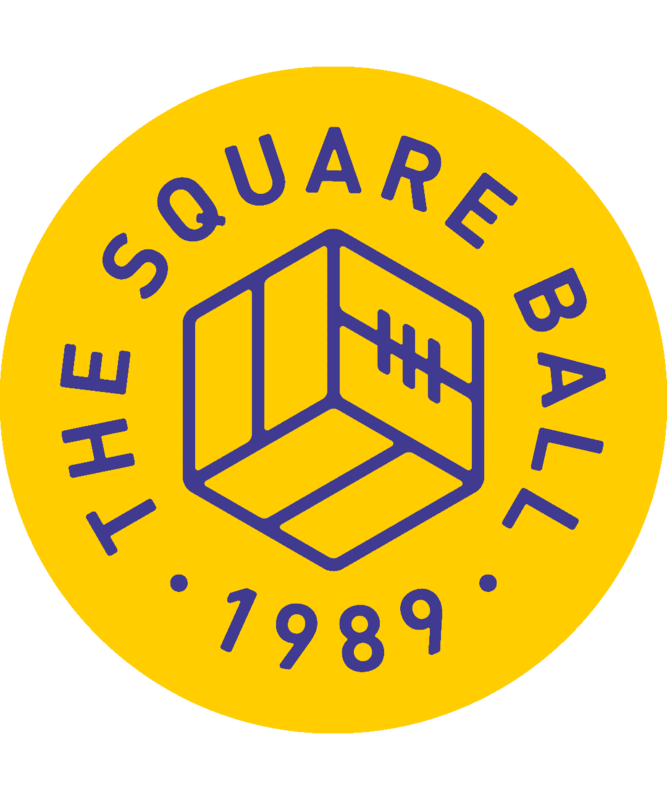 After he came on as a substitute, Lasogga’s big chance summed it all up: he did everything right, charging down the goalkeeper, who kicked the ball at his backside; the ball rolled towards the goal, fooling everybody who thought it would go over the line. It tapped gently against the post and stopped on the line, laughing at everybody. No wonder the Leeds players had no faith left. They weren’t all like that. Bailey Peacock-Farrell, thrown in at the deep end this week, hasn’t shown any outward signs of knowing he’s in the water; five goals have gone past him, one by a so-called teammate, and he’s hardly been ruffled. In fact, those three goals Reading should have had in the first half were kept to one thanks to Peacock-Farrell. But then, he’s a recent arrival to this team, so hasn’t been afflicted by the malaise; it’s the same for Adam Forshaw, who’ll pass the ball all day if he has to, and plays like he wants to. But just when you’re thinking that the confidence of the new boys is high, you remember that Laurens De Bock joined at the same time. Maybe those two are just better made to take it? I guess we’ll find out by the end of the season, if Peacock-Farrell and Forshaw have become gibbering wrecks. That’s assuming that Heckingbottom can’t search for, and find, the heroes inside these weak hearts. That’s one of the reasons not beating Reading was so disappointing; not just because we’ve only won once in 2018 — “I feel ashamed,” says Pontus Jansson — but for what it could have done to the team’s confidence. Beating Reading just might have given the players the belief that they could beat Sheffield Wednesday next; and okay, Fulham’s after that, but maybe we could drug them and convince them that match was just a dream until after they’ve beaten Sunderland at home. Instead, they only drew, and now I don’t know what they believe.